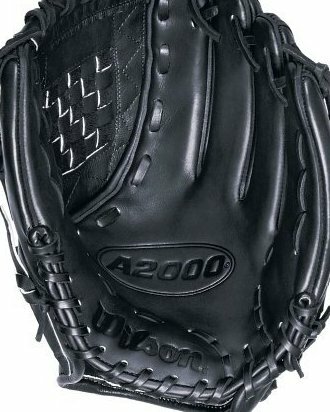 Pitchers' glove in black for right-handed throwing; 12-inch size. Pro Stock leather hand-selected for rugged durability, consistent performance. Dual Welting patented pre-curved design provides a stable pocket. Ultra-breathable Dri-Lex interior lining helps keep your hand cool and dry. ASO web, open back.